Shakhtar Donetsk stunned the supporters last night, as they grabbed the entire three points in their fixture against Manchester City. The 2-1 victory permitted them to savour the taste of a spot in the final 16 of the Champions League this year. Nonetheless, the main highlight was when coach Paulo Fonseca ensued Pep Guardiola into the post-match interview room, intriguingly dressed as Zorro. The Shakhtar boss fulfilled a promise that he had made earlier if the Ukrainian club were to make it through the group stage. The tactician donned the mask of Zorro, a fictional character created in 1919 by Johnston McCulley in Kharkiv, for the press conference as sworn. Speaking about his side’s performance, Fonseca said: “Tonight we played an almost ideal game. We were very disciplined in defence and broke through to attack very effectively. “I feel great joy. I think not only Shakhtar’s supporters but all Ukrainians have to be proud of our team. Twelve points in such a group is fantastic,” the Mozambique boss further added. Despite the fact that the Ukrainians needed just a point against the Citizens to ensure a qualifying spot in the group, they went a step ahead by securing a victory against the Premier League leaders. 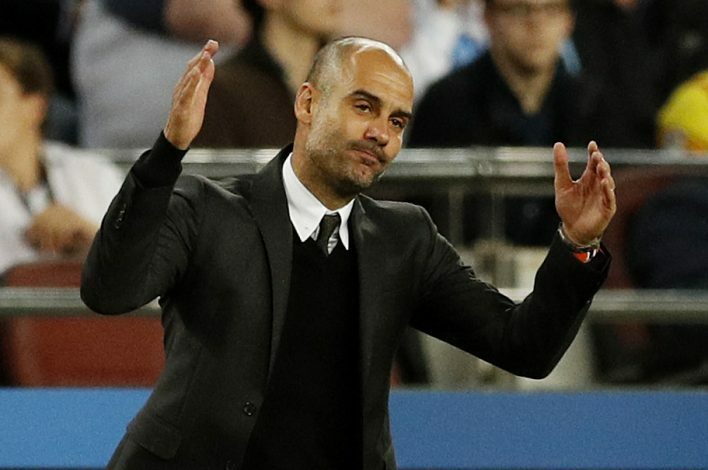 Meanwhile, Pep Guardiola witnessed his first defeat this season, even though the exceptional gaffer’s side still remains unbeaten in the league. Football fanatics around the globe are curiously waiting for City’s next fixture to discern how this blow influences the English giants. They have a substantial fixture closing in, as they square off against Man Utd in the Premier League on Sunday.